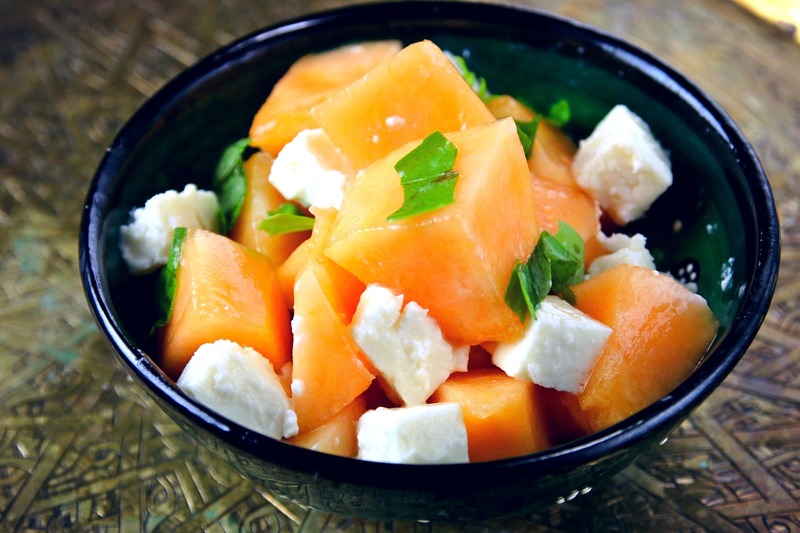 Today I made Melon, Basil, Beyaz Peynir Salad. Melon & Beyaz Peynir is a typical Turkish Meyhane Meze. But, the way of cutting in Meyhane is not like this. Sweet & Salt, Water & Cream contrasts are so nice. Everyday Watermelon, Mint, Feta Salad, Her gece yaz salatası!